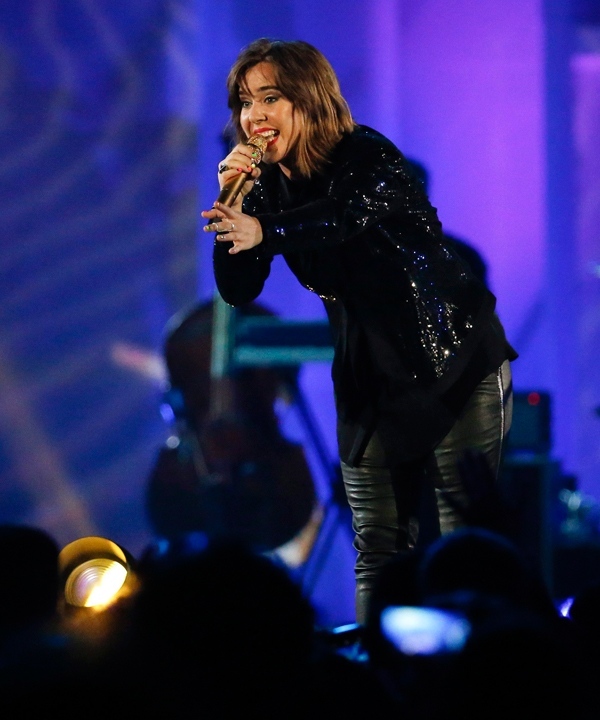 If there is such a thing as a prodigy rock star, Serena Ryder was probably one. Her first real gig came when she was all of eight years old, with her music teacher, Terry Finn. Accompanying her on piano, she sang before about 200 people at the Royal Canadian Legion in her hometown of Millbrook, Ontario. “I didn’t know what I was doing at all but I loved it. It was so awesome. It was super fun just to be on a microphone,” said Ryder. While she remembers the performance fondly, she also remembers being less enthused with the gift she received afterwards, a Barbie doll, which she quickly discarded. Even at that young age it was obvious to those around her that she had great potential as a performer. That motivation and single-minded focus on becoming a singer/songwriter had Ryder performing at the local baseball diamond, coffee shop and outdoor festivals through her childhood and teens. By the time she was 17 she had recorded her first full length album. But it was in her twenties that those years of work paid off in a big way. She recorded a series of ever more popular singles, including the breakout hit, “Weak in the Knees,”and won her first of what would be six Juno awards. Her career was ascendant, at least until a devastating bout of depression took over her life. “A big depression is like you literally feel like there’s a cloud around your head and that everything’s kind of fuzzy. You have a lack of inspiration, you don’t care about anything and you’re just really tired all the time,” said Ryder. That depression would incapacitate her for six months, but thanks in large part to therapy and anti-depressants, Ryder finally re-emerged from her fog. Over time she shared her experience with others, even becoming a spokesperson for the Bell Let’s Talk mental health campaign. She readily acknowledges that she continues to be susceptible to depression. In the wake of that crippling bout of depression came Ryder’s most acclaimed album to date, 2012’s “Harmony”, with the break-out hits “What I Wouldn’t Do” and especially, “Stompa”, which reached the top of the charts in both Canada and the U.S.
Now, five years after “Harmony”, the long-awaited follow-up album, “Utopia”, will be released in May. She co-wrote seven songs on the album, including the title track with her close friend, Simon Wilcox, daughter of legendary Canadian guitarist David Wilcox. Simon attributes part of her kinship with Ryder to their shared Ontario roots. Wilcox, now living in California, is a much sought after songwriter, who recently has collaborated with a wide array of popular artists including Enrique Iglesias, 5 Seconds of Summer and Nick Jonas, whose hit song “Jealous” she wrote. She believes Ryder has talents unlike any other performer. “Her voice is important because it’s so human and honest,” said Wilcox, “important in that when I hear her sing it sounds like nature is singing to me. I don’t know that there’s anyone else who does that for me." 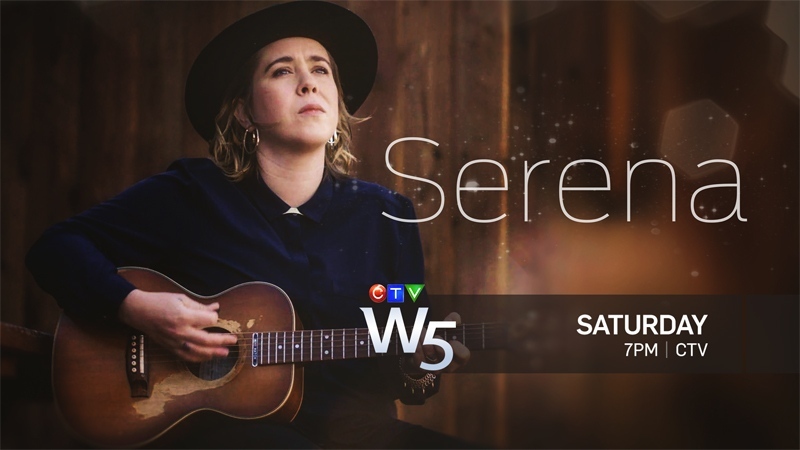 W5's 'Serena' airs at 7 p.m. on Saturday, April 15 on CTV, CTV GO and will be available in our player above after 8 p.m.
W5's 'Serena' airs at 7 p.m. on Saturday, April 15 on CTV, CTV GO and will be available in our video player above after 8 p.m.